Home | Herbs & Holistic Health | Herbs A-E | Aloe Vera | Aloe Vera Gel 5000 mg.
Aloe Vera Gel 5000mg is rated 4.2 out of 5 by 13. Rated 1 out of 5 by Momof6 from Horrible ingredients Cannot believe Vitamin World has a product that has these ingredients in it. Soybean Oil, Gelatin, Vegetable Glycerin, Cottonseed Oil, White Beeswax Soybean Oil and Cottonseed Oil are horrible for sure. WOW, this product should be Aloe Vera, plain and simple. Am angry that I ordered these not realizing they had this stuff in it. Will look more closely at VW products in future. Rated 1 out of 5 by Soaps from Did not help with my digestion. May work for others but did not work for me. 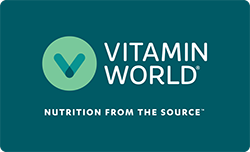 Rated 5 out of 5 by Anonymous from Review of aloe vera gel Because this product often comes in liquid form, which I do not want, the Vitamin World nicely sized capsule is the best for me. Rated 5 out of 5 by Sassyblonde from Excellent product I love this product, I tell people all the time! I can't stop taken it because I will have problems again. So it helps me. I take it twice a day. Rated 5 out of 5 by Mimimovedtx2nc from Excellent product Have been using these gel caps for years. Tried the juice but like these much better. Rated 5 out of 5 by MET from Excellent Product Have been using aloe for years and prior to trying these gel caps had always use liquid aloe. Can be inconvenient and couldn't always find the flavors I wanted at a price I was willing to pay. So I am very please with the gel caps. Three per day with meals is the equivalent of the single liquid serving I was doing daily as far as my body is concerned. And these are an excellent value and very easy to use. Very very glad I found them!